The liturgy is at the centre of the life of the future priest. It is at the same time a font of supernatural life and a wonderful teacher of the interior and exterior attitude we should have towards God, the saints, and our neighbour. 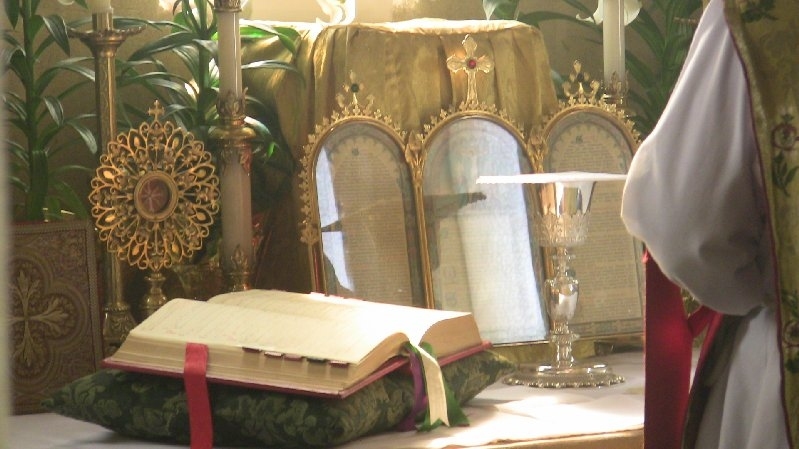 The liturgy, by the divine words which it places on our lips and by its actions and gestures, teaches us with exquisite delicacy the virtues of the Christian life, and especially of the life of souls consecrated to God. Everything in the seminary is ordained to make the seminarian live from the Catholic liturgy. 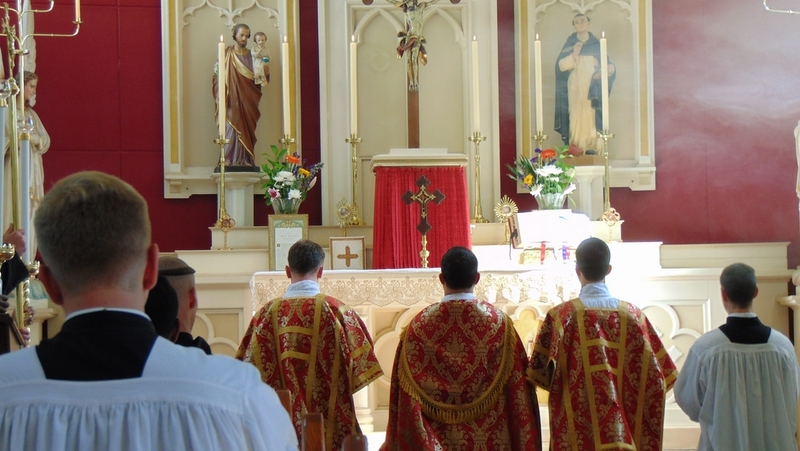 Holy Mass, which is the summit and the focus of the liturgy, is also at the centre of the spiritual life of the seminarian, who must strive to discover its mysteries and unite himself with them with all of his soul. Solemn celebration of the great liturgical feasts links together throughout the year the mysteries of our Lord Jesus Christ, of His most holy Mother, and of the saints. By making himself familiar with the missal, the ritual, and the breviary, the seminarian acquires a knowledge of the great teachings and riches of the liturgy. Schola: the members of the schola, knowledgeable in Gregorian chant, solemnise the sacred ceremonies with chant and music. By their dedication to Holy Mass, seminarians can acquire a great love and veneration for their Eucharistic Lord. What is the prayer which Jesus handed down to His Church? Obviously it is the Holy Sacrifice of the Mass, just as Calvary was the great prayer of our Lord Jesus Christ. It was on the cross that He prayed most intensely, and now the Sacrifice of the Mass is the great prayer of the Church: a prayer into which the Church wishes all of the faithful to enter most intimately, most profoundly, adoring God, adoring our Lord Jesus Christ, adoring our Creator, adoring our Redeemer. What a magnificent prayer for Jesus to have given His Church! Not only that, but he wished us to participate in His body, His blood, His soul, and His divinity in the very heart of that prayer, that we might begin to pray as He does. May all our life be a prayer, and offering, to Him, a canticle of thanksgiving. That is what Jesus handed down to His Church and what you, my dear friends, will be called to accomplish. The one great prayer is the Holy Sacrifice of the Mass. It is going to be the heart of your apostolate. You will never understand your apostolate if you do not understand the Sacrifice of the Mass, because the Holy Sacrifice of the Mass is the great prayer of our Lord. Calvary was the great prayer of our Lord. It was there that He truly offered himself to God His Father, and it is there also that you will find the source of all your apostolate in the zeal which you are going to need in order to go out and preach to souls. You are going to attract souls to our Lord Jesus Christ; you’re going to attract them to the altar. That is going to be your role.